Hi everyone! 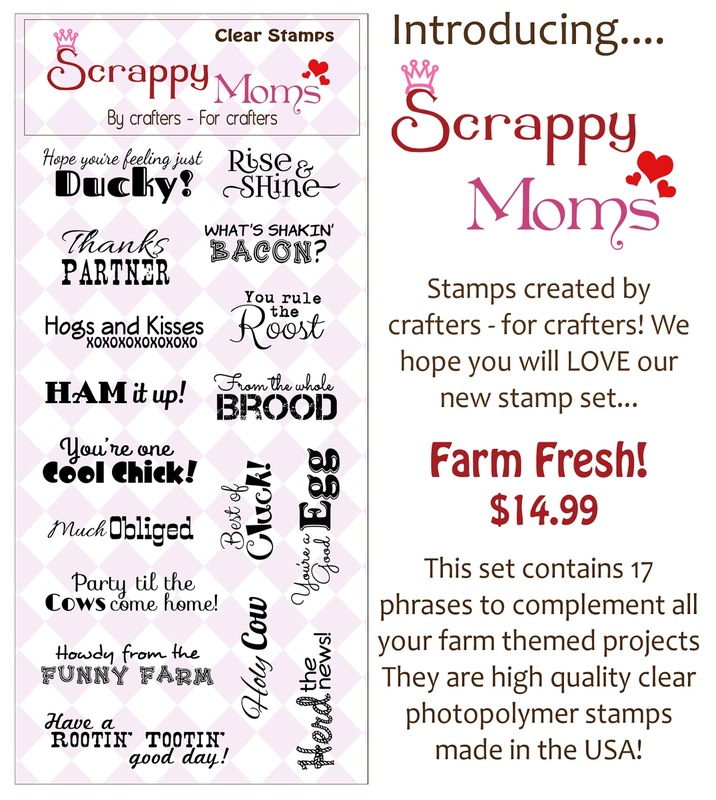 I'm back today with my second card using the new stamps from Scrappy Moms Stamps. I love all things sparkly so I couldn't wait to make this card. I created an offset of this cupcake shape from Lori Whitlock. I cut the layers....the paper on the top of the cupcake is from the American Crafts - X0X0 Collection. 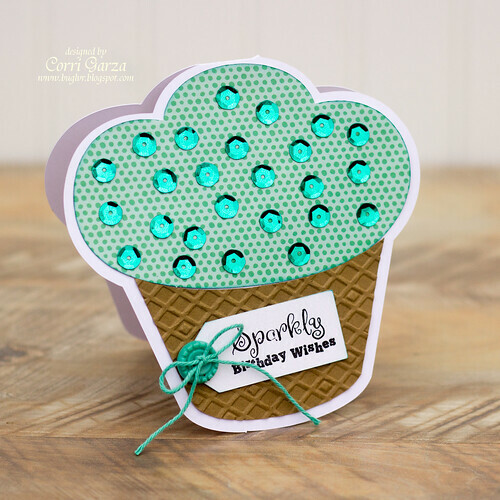 The bottom pat of the cupcake is cut from kraft card stock and embossed with the Sizzix diamonds folder. 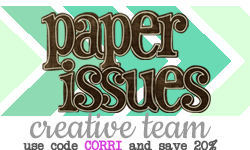 the Paper Issues shop. Be sure to check out all the new products being loaded in the store. You can use my code to save 20%! 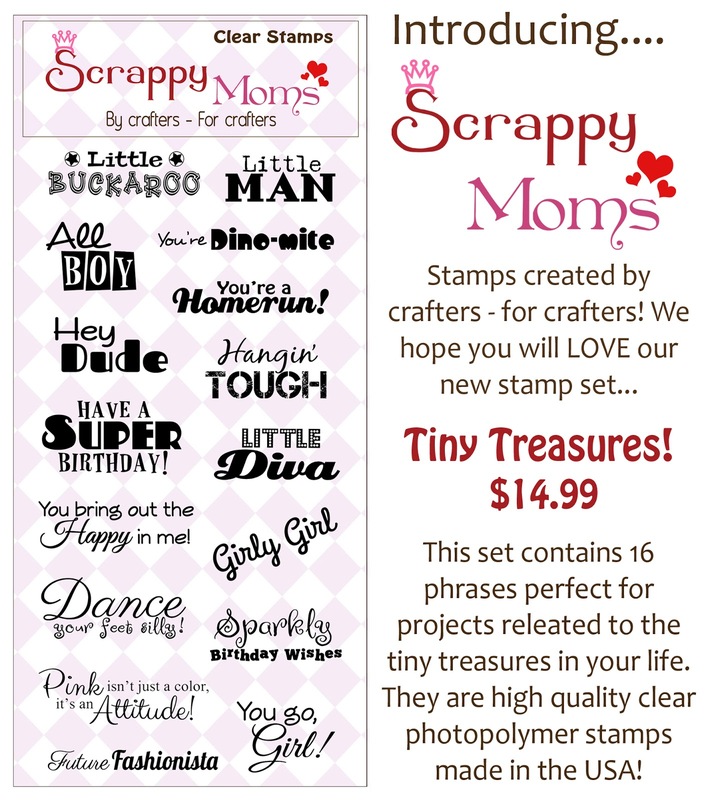 Head over to Scrappy Moms Stamps to pick up these two new sets and be sure to visit the rest of the design team (links in my side bar). Great card - love the shape and think how you did the cone at the bottom is brill - really resembles a true cone!! !